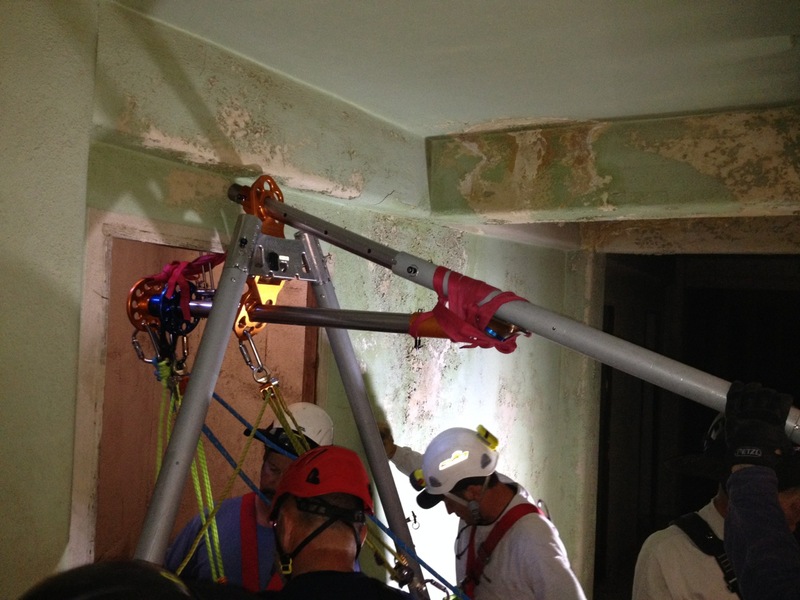 The Structural Tower Rescue Workshop is an in-depth, hands-on course, emphasizing structural rescue from the ground up. The techniques used in this program are closely aligned with mountain rescue where similar bottom up procedures are used on stranded climbers above the rescue team's arriving location. 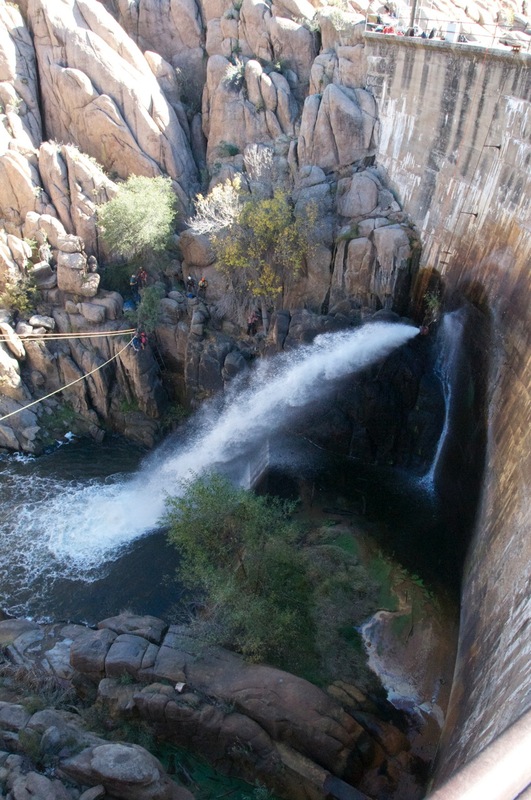 Most rope rescues (>95%) are top down in nature due to the fact that the rescue team is able to easily gain access to a position above the victim's location to perform the rescue. 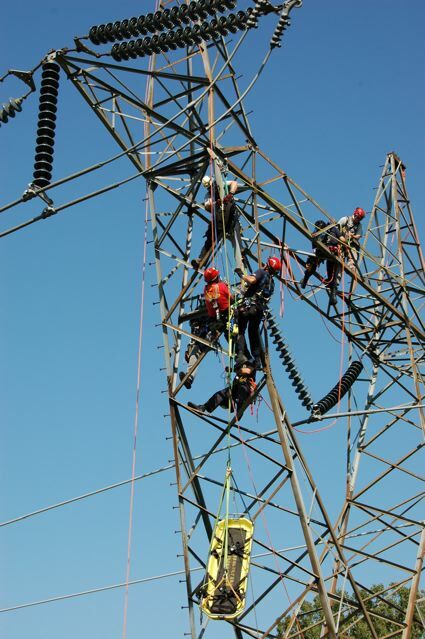 The STRW addresses these important distinctions early on with both structure-based and ground-based rescue techniques, provides in-depth orientation on lattice steel and monopole radio and power transmission tower construction, climbing techniques and hazards, all for the emergency responder. This is the first and only seminar carefully delineating the many hazards associated with energized power transmission lines for fire fighters. 99% of all above ground towers in the US are electrical power transmission lines. The STRW also features DVD support from the Highline Production training materials "TOWER RESCUE for EMERGENCY RESPONDERS". 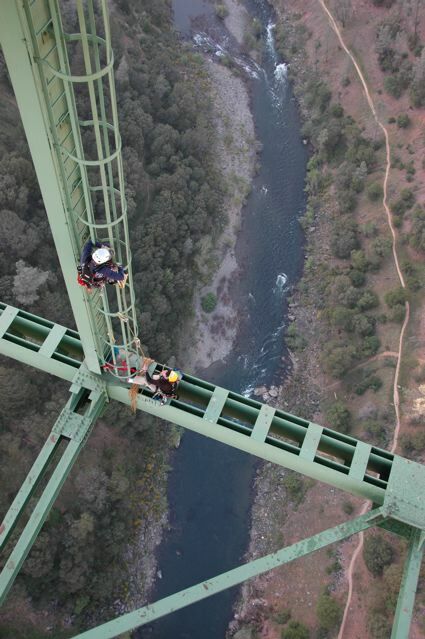 Before the rescue section begins, students learn several ways of safely climbing not only towers but structures such as bridges using time-tested climbing methods, rest positions, and tips for route strategy. 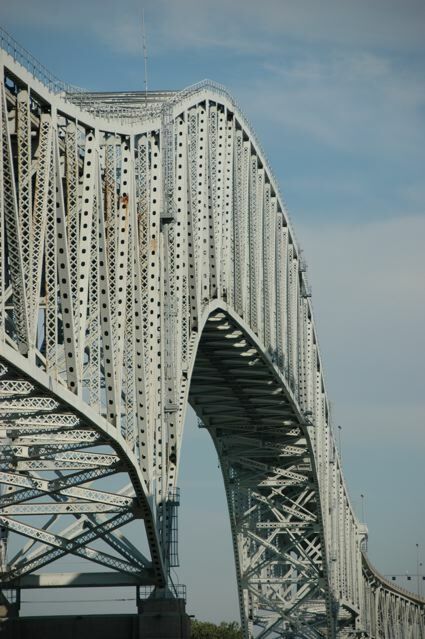 Many of these techniques are used today by seasoned workmen who work on towers and structures as part of their daily employment. All climbing is taught with first-up fall protection and established self belay lines for all subsequent climbers on the tower. 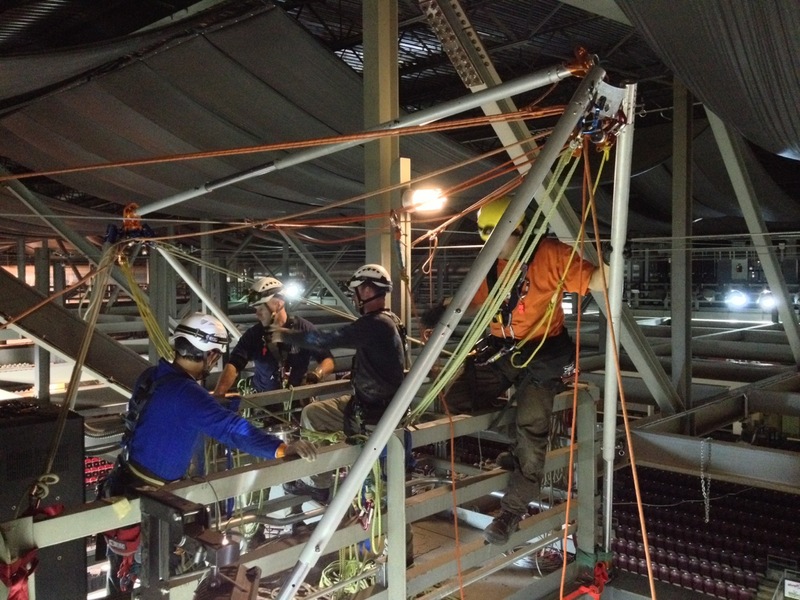 This rigorous workshop teaches rescue of uninjured, ill, slightly injured or injured workers or unauthorized climbers on lattice steel and monopole structures up to 40m (125'). 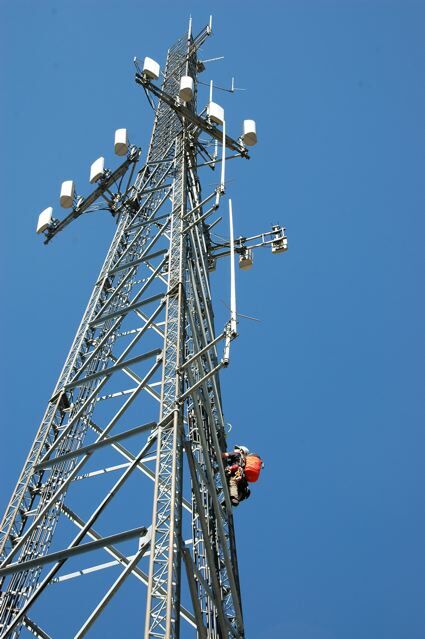 The seven-day seminar is designed for emergency responders only and is not recommended for tower workers and linemen. 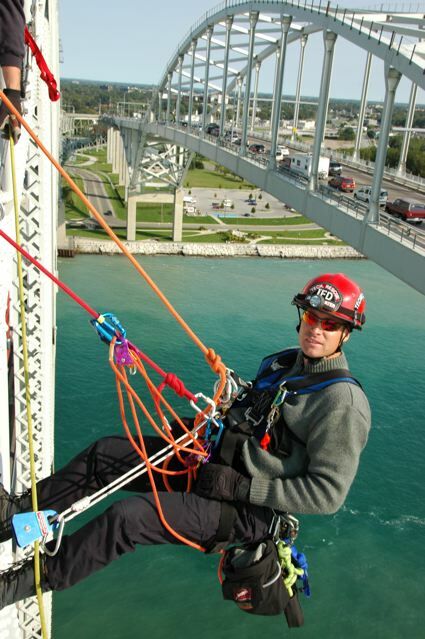 The STRW differs extensively from the Industrial Rescue Workshop (IRW) as both teach separate techniques. Different manuals and differing focuses. The IRW is more suited for top down rescue techniques (with some bottom up) but the STRW is all personal movement on rope, solo and semi-solo rescues and predominately bottom up rescues. A careful comparison of the program descriptions will reveal the focus of each workshop. 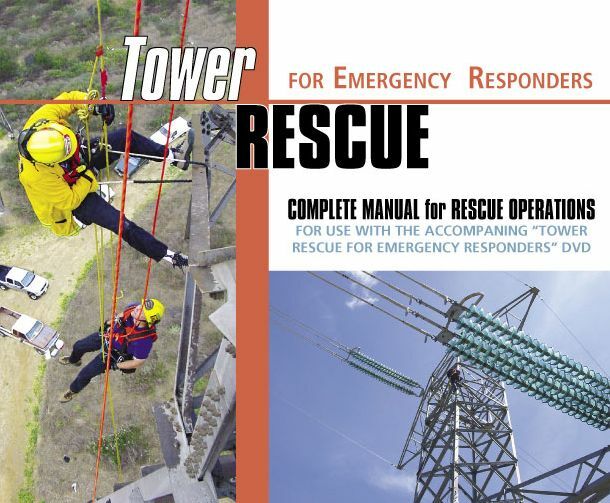 Below: Manual cover from the Highline Production "TOWER RESCUE for EMERGENCY RESPONDERS". This DVD and manual authored by Reed Thorne is used on the instruction of this program from RTR. 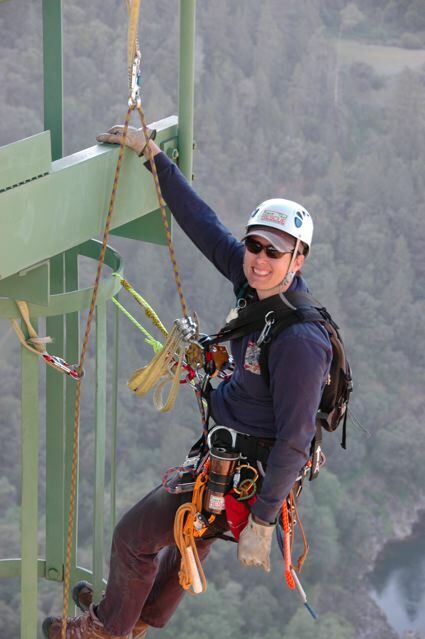 Below 2 photos: Sacramento Metro Fire's, Becky Cordova, lead climbing on the Forest Hill Bridge over 700' above the North Fork of the Anmerican River in 2007 STRW. 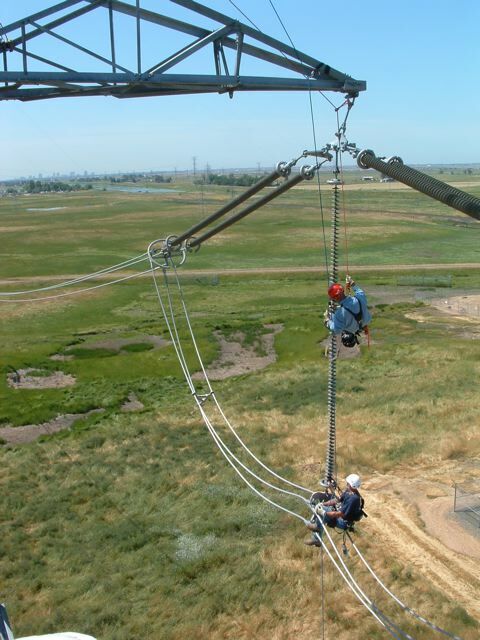 Below: 2009 Roseville, California STRW working on 500kv transmission towers and lines at WAPA (Western Area power Administration) training yard in Elverta near Sacramento. 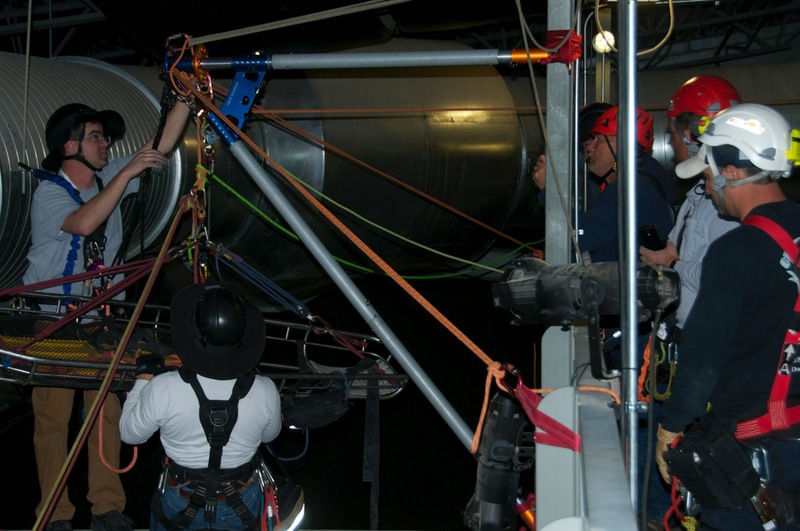 The Industrial Rescue Workshop is an in-depth, hands-on course, emphasizing structural rescue from difficult locations in an industrial setting and above ground tower environment. The workshop will differ from other RTR rescue programs in that it will concentrate on both bottom up (less emphasis) and top down rescue scenarios (more emphasis). The workshop relies on extensive knotcraft skills and lashing, whipping and frapping. Also, a heavy reliance on frame building using the Rock Exotica Arizona Vortex is expected. Several full kits are available making the mutiple advanced set ups possible. The industrial venues for the IRW are widely varied including CYRTA (Central Yavapai Regional Training Academy), Tim's Toyota Arena, Jerome Hotel and Watson Lake Dam (all, if avaialble). These venues are in Prescott Valley, Prescott and the town of Jerome in the Verde Valley. Extensive use of the Rock Exotica Arizona Vortex and Skyhook® Capstan Winch with both power head and cordless drill are realized in this frame-intensive workshop. 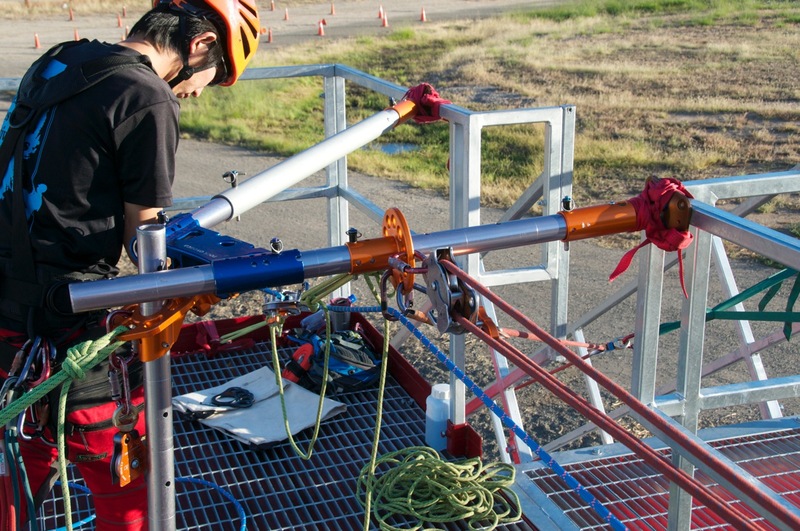 Exercises involving cantilevered A frames, double A frames, and paradoxical luffing A frames along with winch rigging stands and pods are all part of the IRW at these venues in Prescott. The Arizona Vortex "Doortex" for elevator door shaft rescue is also covered in a one day commute to the historic town of Jerome. For those wishing to get an extensive working knowledge and understanding of the capabilities of the Arizona Vortex, this program is perfectly suited. This, with the teaching of high angle offsets throughout the workshop, make this the industrial rescue program to attend. The IRW differs extensively from the Structural Tower Rescue Workshop in the material presented so a clear distinction is worth noting. Different manuals and differing focuses. The IRW is more suited for top down rescue techniques (with some bottom up) but the STRW is all personal movement on rope, solo and semi-solo rescues and predominately bottom up rescues. A careful comparison of the program descriptions will reveal the focus of each workshop. Below: Curious method of using the Arizona Vortex during an operation at Prescott Fire Training. Below: 2014 IRW at Watson Lake Dam where students perform a tracking line retrieval of a "patient" in litter from the bottom down stream side up over the top of the dam into the Prescott Fire Inflatable Rescue Boat. It required the building of tandem frames: one A frame and one SA frame.